Today I visited the Veteran’s Bakery, a new artisan bakery that has opened in Catterick Garrison and is staffed by former members of the Armed Forces. 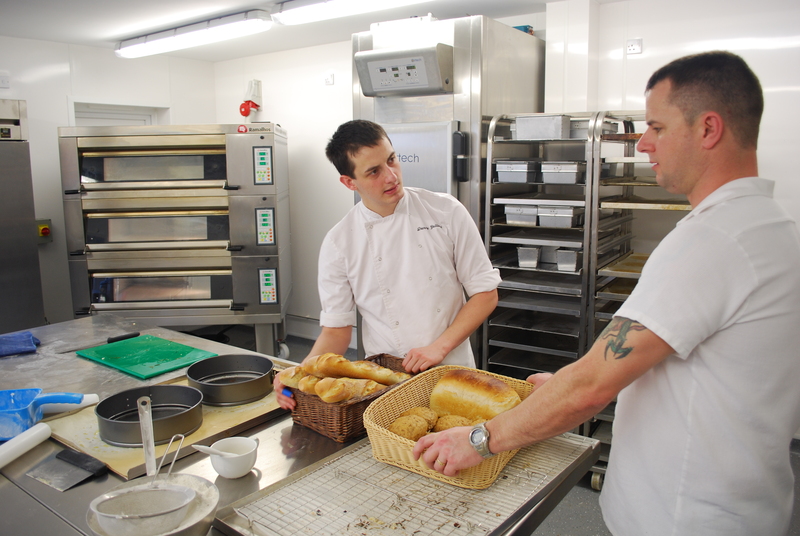 The bakery is located in ‘The Beacon’, an initiative of housing association Riverside ECHG which provides temporary housing, training and specialist support to ex-servicemen and women who are at risk of homelessness. 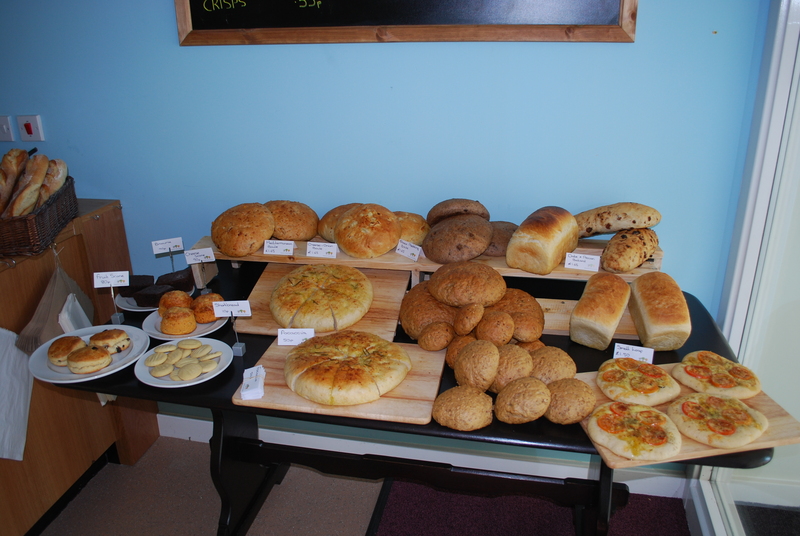 The bakery is run in partnership with the Clervaux Trust, which operates a similar artisan bakery based in nearby Darlington. ‘Getting back into the kitchen after my last few jobs in the Army has been really great, cooking is what I joined the Army to do. The best thing about the project is teaching veterans a new skill and seeing the satisfaction on their faces when the bread comes out of the oven. 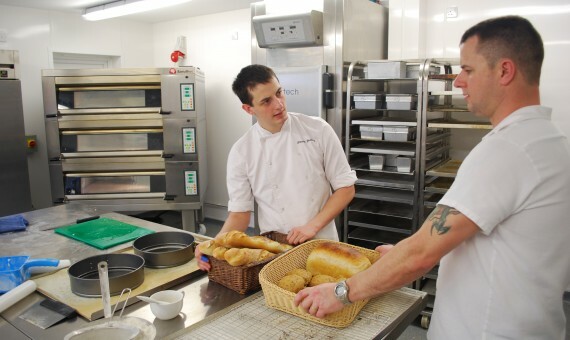 One of Kev’s first success stories is Charlie, a Royal Marine who has been helping full-time in the bakery and now plans to attend catering college at Darlington starting next September. Charlie’s enthusiasm for baking and cooking was clear and after talking to him for just a short time it was obvious he has a bright future ahead. Rosemary Schrager who opened the bakery in February also spotted his talent and Charlie is hoping he may be able to work with her in the future. 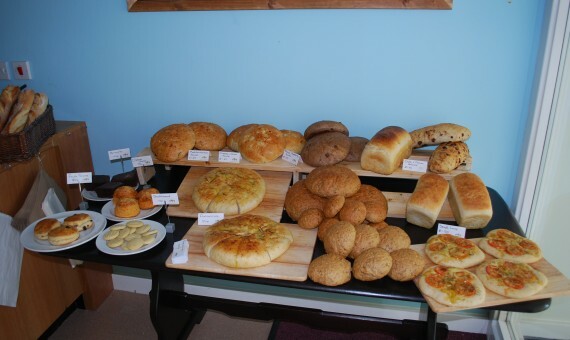 I only arrived at 0930 so a lot of preparation had been done already, but I was able to see them baking off baguettes that were made from scratch that morning as well as focaccia and a number of other flavoured loaves. This visit has made me reflect on how the discipline, work ethic and passion I have seen in servicemen during my own military career could make the right former soldier a fabulous addition to anyone’s bakery workforce. I am certainly not alone in making the change from a military career to the food service industry. Jim Bishop, a former Royal Engineer, is the real name of the web presence that is @TTSoldierBaker. Jim is currently attending the Baking Diploma course at the School of Artisan Food, he tweets regularly and is also writing a blog as his studies progress. I am sure we can put a link on the website somewhere for you. Are you still involved with the project? I thought it was great, I hope you have managed to find some more avenues through which to sell bread and give it a chance of becoming a bit more self-sustaining. If you want to pop in for a coffee I am at the cafe most days and earlier is better – we open at 8am.